Our Franchise Law Practice Group offers a wide range of legal services, as franchisors and franchisees have a variety of legal needs. Companies that choose to franchise their brands and become “franchisors” enter into a regulated legal environment fraught with traps for the unwary. Franchisors must consider an appropriate corporate structure for the growth of their brand. They must also obtain trademarks and protect other intellectual property, including trade secret and confidential information, intended to drive the success of the brand. The careful drafting of franchise disclosure documents and franchise agreements is critical to compliance with franchise laws, avoidance of disputes with franchisees, and maintaining the uniformity and integrity of the franchise brand. Similarly, the careful review of a franchise disclosure document and franchise agreement by a potential franchisee is of utmost importance before one decides whether to join a brand. Further, like all corporations, franchisors and franchisees have traditional corporate and transaction legal needs as well, whether it be basic corporate organizational needs, mergers and acquisitions, leasing, or financing. Our team of lawyers can meet all of these needs. Our team of lawyers understands the needs of franchisors and franchisees when it comes to disputes and their resolution, whether it be litigation avoidance, negotiations or mediation, or entering into litigation when issues cannot be solved amicably and court intervention (or private arbitration) is necessary. Our team is prepared to handle the wide variety of claims that may be raised in such disputes, whether it be claims pertaining to Financial Performance Representations (“FPRs” f/k/a “earnings claims”), claims pertaining to breach of non-compete, non-solicit, or non-disclosure covenants, vicarious liability claims sounding in tort and arising from injury at a franchisee location, claims pertaining to statutory violations, or common law claims for breach of contract, fraud, misrepresentation, or breach of the implied covenant of good faith and fair dealing. 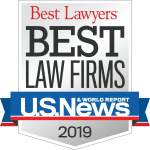 When our team is in litigation for its clients, our goal will always be to obtain winning results, and we partner with our clients in all tactical decisions to that end. Defends franchisors when franchisees claim they are not independent business owners, but rather, assert they are micromanaged misclassified employees of their franchisor (as has occurred in the massage, convenience store, and commercial cleaning franchise industries). Assists franchisors and franchisees when the federal Department of Labor or state government agencies investigate and/or audit franchise entities’ compliance with wage-hour laws and challenging the proper classification of employees/franchisees. Defends franchisors if the NLRB asserts (as it has against fast food restaurants) that a franchisor’s control over franchisees’ staffing decisions and wages make it the “joint employer” of the franchisees’ employees, thereby requiring them to participate in collective bargaining. Works with franchisors and franchisees alike when there is conflict in the ranks of their workforce arising from wage-hour claims, claims of unlawful discrimination, harassment or retaliation, violation of leave or other workplace rights, or general concerns of compliance with labor and employment laws. Assists franchisors and franchisees alike in internal investigations, litigation through trial and appeal, and with the drafting and implementation of employment contracts and policies intended to manage the expectations of the workforce.